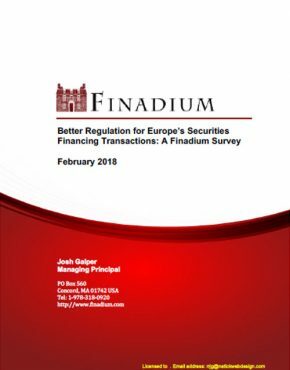 EU Regulation 2015/2365 – otherwise known as the Securities Financing Transaction Regulation or SFTR – entered into effect on January 12th, 2016. The intent behind the SFTR is straight-forward: it seeks to give regulators transparency into the marketplace and provide a consistent and meaningful understanding of Securities Financing Transactions (SFTs) showing how the records of individual counterparties tie together. SFTR is not the only European regulation with these objectives. Indeed, MiFID II and MiFIR (Markets in Financial Instruments Directive II and Markets in Financial Instruments Regulation) assume either implicitly or explicitly that SFTR will have been implemented prior to these regulations taking full effect. Meeting the SFTR obligations requires a degree of new thinking and taking advantage of solutions built for other purposes altogether. The SFTR has been split into two major phases, with two levels of requirements and implementation. Level One requirements are mainly directed towards standardization and codification of existing best practices around internal record keeping, and disclosure for investors whose assets may be used in SFTs. It also imposes new record keeping requirements on non-financial firms that engage in SFTs on a principal basis. These firms have previously existed outside of the mainstream of industry regulation and fall into the Shadow Banking category. This has and will continue to necessitate a certain amount of data transformation to conform to technical data standards. Overall, the majority of Level One requirements can and are being implemented with reasonable levels of effort across the industry. However, part of the Level One text also requires firms to submit their data to a registered and approved Trade Repository (TR) beginning in 2018. The technical standards will be finalized in the Level Two text. Level Two requirements are substantially more challenging and get to the heart of what the EU is trying to achieve. 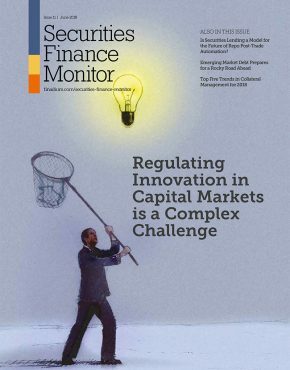 Conceptually, regulators are trying to avoid problems that they experienced with the failure of Lehman Brothers during the 2008 financial crisis. In the case of Lehman, the market experienced extreme difficulty in “unwinding” the bank’s SFT book, largely due to inconsistent records between Lehman and their counterparties. Not only that, but regulators found it extremely challenging to even identify the actual legal entities involved in the transactions, given that in many cases the only representation of the counterparty on the banks’ books was on an agent level. 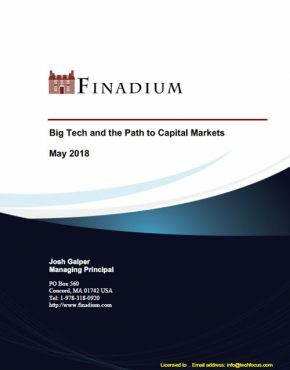 They found it further problematic to understand the complexities of the positions, to match up particular borrows to particular loans, and to match up collateral to the underlying trades. Resolving these difficulties has been the primary driver to both the regulation and the technical standards for its implementation and enforcement. In addition to the reporting of the SFTs, counterparties will also have to report the associated collateral to a trade repository on either T+1 or value date dependent on the method of collateralization used. 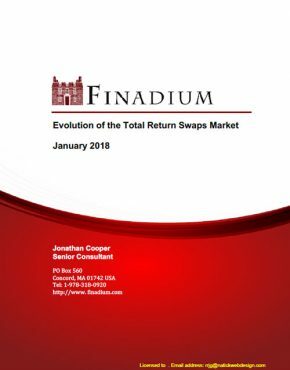 Many market participants will accept collateralisation in a range of security types and markets and it is quite common for the collateral management process to extend through to the end of the US day. This allows collateral givers the chance to effectively optimise their collateral allocations on a global basis and across transaction types via the tri-party agents. 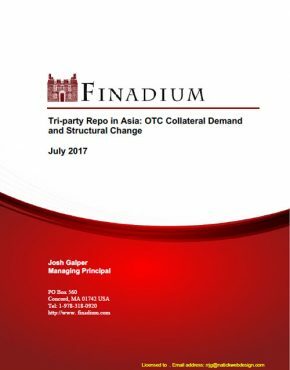 To facilitate this, some of the triparty collateral agents who are involved in the collateralisation process will not finalise the allocation of collateral until close of business in the US. Allowing for the completion of the reporting process from the agent, this information may not be available to the counterparties until extremely late on value date or even early on value date + 1, effectively preventing accurate reporting within the currently requested timelines. Whilst value date reporting is an improvement on trade date collateral reporting, if kept in the final text, it will still present significant challenges to the industry, and reconciliation between the collateral and trade legs remains pivotal in creating a comprehensive SFTR solution. The ability to identify in a standard way the counterparty to a particular SFT. The ability to tie the counterparties’ records together into a single representation of the ‘trade’ at both an agent and principal level. The ability to identify which pieces of collateral support which trade(s). Identify counterparties to all data submitted to Pirum for reconciliation and other post-trade processing. Compare trades from each side, analyze and match which borrows belongs to which loans in order to report and resolve differences. Through our RQV and Exposure services, identify and match trade pools to the supporting collateral pools, whether the collateral is managed through tri-party agents or bilaterally between the counterparties. Through our tri-party connectivity, we receive collateral allocations in a timely manner and can assist with pro-rating collateral on a principal level. Pirum has most of the necessary infrastructure in place to facilitate our customers’ compliance with their SFTR Level Two requirements, utilizing the existing data we already process. Changes, of course, need to be made, and there remains work that both we and our clients will need to do in order to take advantage of this foundation. Obtain, record and submit Legal Entity Identifiers (LEIs). LEIs are the standard to unambiguously establish just who the counterparty really is on a per trade basis. Obtain many additional data points / multiple fields that are not commonly included on existing outputs. Assess how to accept and store Unique Trade Identifiers (UTIs) back into their internal systems. Enhance data inputs to Pirum to receive and validate LEIs as well as other SFTR required fields. Work out the underlying principal level allocations to fulfil the reporting requirement. Augment data submissions from firms with any SFTR-specific data fields they themselves cannot readily store on their internal systems. Generate and report (UTIs) for all matched positions to both counterparties, for each firm to use in their final data feed back to their Trade Repository. Our contract compare platform is a logical first part of this process, since all trades are captured regardless of execution venue, re-allocations or corporate actions. For firms utilizing our RQV and Exposure services, perform collateral to trade pool mapping. Feedback SFTR tailored output to each firm utilizing the SFTR reporting service. Submit SFTR output from Pirum directly to each firm’s selected Trade Repository. Provide full SFTR process audit and KPI reporting, as well as analytics back to each firm utilizing the service. As market participants consider their options to meet the upcoming SFTR requirements, it is important to assess where to apply internal resources and where to take advantage of existing processes. For example, can existing feeds reduce technical overhead? Can enough workflow be automated internally to make a difference in cost and regulatory management? 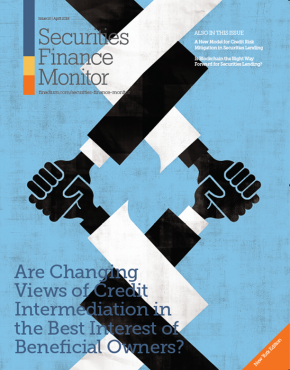 Industry cooperation is needed amongst borrowers and lenders to meet the SFTR Level Two requirements. Vendors will also need to cooperate on specific challenges such as UTI sharing to ensure full coverage, which will ultimately improve the pairing rates at trade repositories. This point is key to the regulation having its desired effect. One way or another, Pirum’s existing services and domain expertise can help overcome the challenge of implementation. Ben Challice is COO of Pirum Systems. 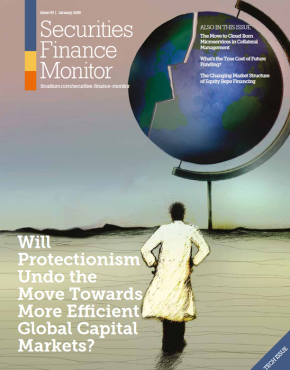 CM2025: will securities loans still need a borrower in 2025?